A cheating husband. A missing nanny. A suspicious organization. Moneta Watkins and Stacie Howe are on the case. Private Detective Moneta Watkins has a special gift – she can relive people’s memories. With her partner, Stacie Howe, she tackles the cases no one else can solve. The first installment in the Adventures of Watkins and Howe, Grab is a fast-paced, action-packed, supernatural thriller that will take you on a journey you will never forget. Stolen art. An orphaned girl. A dangerous and elusive conspiracy of thieves. Moneta Watkins and Stacie Howe are on the case. Private Detective Moneta Watkins has a special gift – she can relive people’s memories. With her partner, Stacie Howe, she tackles the cases no one else can solve. The second installment in the Adventures of Watkins and Howe, Steal is a fast-paced, action-packed, supernatural thriller that will take you on a journey you will never forget. Mencken Cassie is a passionate reporter on a mission to save Baltimore from an organized crime ring and a brutal hitman who is terrorizing the city. When Mencken declares war on the organization, he enters a world of monsters more terrifying than anything he could ever imagine. To save the city he loves, Mencken must unmask the true threat to Baltimore by finding new sources of strength in the community around him. As the death toll rises and a gang war sparks, Mencken Cassie closes in on Baltimore’s serial killer and the battle for the Tinker’s box continues. Mencken, Jose, and their friends must battle monsters at every turn if they hope to save their city from being conquered. In this third installment of the Defense of Reality series, the stakes have never been higher for the heroes of Baltimore. 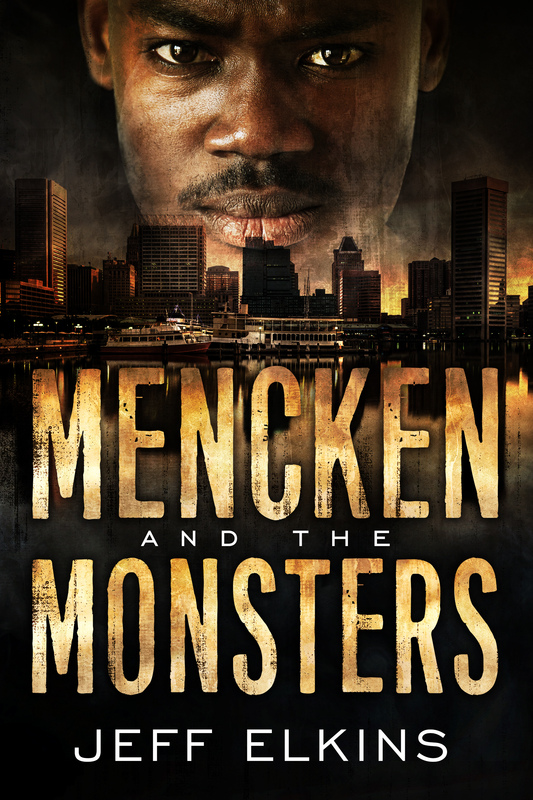 This action-packed supernatural-thriller will keep you on the edge of your seat as you chase monsters with Mencken and Jose through the streets of Baltimore. Armed with a magic box, Miriam thought she was going to New York to save her sister from a life of addiction. What she finds instead will change her and her family forever. This action-packed supernatural thriller is full of unexpected twists and turns that will keep you on the edge of your seat. Picking up where Mencken and the Lost Boys stops, Saving Deborah follows Miriam, Simon, and Tinker’s Box on an adventure to New York that is out of this world that is a wonderful and surprising installment to the Defense of Reality series. In a world of violence and monsters, all Carl wants is peace. Assigned to protect the city of Baltimore, Carl struggles to do his duty and protect the child fate has placed in his care. In this exciting installment of the Defense of Reality series, watch as two legends rise and take their place in history. Tucker and Maddy moved to Baltimore to save the city. They weren’t prepared for how the city would save them. Faced with generational poverty, addiction, and violence, Tucker and Maddy are forced to make difficult decisions about faith, religion, and what it means to love others. This fast-paced thrill ride will challenge your understanding religion, and inspire you to love others deeper. A magical bathroom tile, a box of candy hearts, the smoke from a cigar — Mark never knows where the next magical message will come from. Mark and all the Magical Things is filled with surprising moments of moving dialog, dark humor, and heartwarming soul-searching. You’ll laugh, celebrate, and cry alongside Mark as you follow him on his unintentional journey of self-discovery. Aided by a mysterious force in the universe, Mark learns about himself; but will he learn all he needs to in time to find love again? In one week Andy will receive an answer that will determine the course of the rest of his life. To pass the time, he is talking to strangers. This entertaining collection of seven conversations will cause you to smile, laugh, and think. James knows what he has to do and he has the tools to do it, but can he kill his best friend to save the world? Clovis’ camera has a magical secret. It takes pictures of ghosts. Will dancing in the fountain and roaring like a lion really save her life? Amy doesn’t know, but she’s going to try. This wonderful collection of twenty-one fun and engaging short stories is perfect for the reader on the go. Each thrilling story will bring you to the edge of your seat and then give you the release you need in ten minutes or less. You’ll be lost in the charming and inspiring characters and the fast-paced and witty dialog. “My Top Five, in No Particular Order” is a gem from master short story writer Jeff Elkins that is a must-have for every short story lover.